~2 weeks. English is weak point, so I spent most of my study time reading questions on gmatclub. There was not method to my studying. For math, I spent most of my free time at work going through all possible rules. Whenever time permitted, I would attempt random questions on gmatclub. Honestly, I am not a good test taker - nervousness gets the better of me, so my first attempt was just to gauge the exam, first hand, and see where I stand. Mood before the exam: Slept at 2am, the previous night, for ~6 hrs. I did have a mild headache, but 2 aleve pills did the trick. Exam sequence: Verbal, Quant, IR, AWA. Verbal: My 5th question was a bold face and then some pretty tough CR questions. I am sure I messed up most of the CR questions. Surprisingly, I was pretty efficient with reading the RC passages. At the end I couldn't complete 3 questions. Quant: Although, and again, I couldn't complete 3 questions, I think I did pretty decent. There were a 2 or 3 DS questions on which I spent more time than I should have, making each of them a scientific experiment. I didn't get a single probability question.....well maybe the 3 questions that I missed could have been probability questions. Give the GMAT in 4weeks [hopefully in 3 weeks]. Focus primarily on verbal, specifically CR: start with the Powerscore CR book. Since I am a non-native speaker, I need help with a good source to start my SC study - from scratch; A source that will, at least, give me a good handle on written grammar rules. Although the forum is the best place to learn from, I have often fond my self lost with many SC explanations; I, then, find myself spending more time, than i should, researching specific grammar rules. This brings me to another question: There are so many idioms and rules in the English language, but do we really need to know every possible idiom and rule (and the exceptions to each rule) to do well in SC? Finally, I often find it tough to gauge what a 95% hard questions really means on gmatclub. I spent a lot of my time trying to solve 65%+ verbal questions on the forum. However, just 3 days before the exam, I realized my blunder. When i got to the 45% level questions, more realistic for my level, I could barely get 70% accuracy. For my next attempt, if I manage to hold my quant score at ~47-48. What level verbal questions should I focus on to improve my score by, say, 60-70 points? For SC please refer to MGMAT SC guide or e-gmat online course. Welcome to GMATCLUB!! To improve your scores in verbal especially in SC, you can consider e-gmat verbal online or the e-gmat verbal live course. They are both amazing courses especially designed for non-natives. They offer almost 25% of their courses for free so you can try out their free trial to decide which one you want to go for. 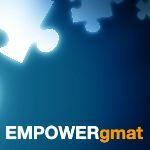 Plus the e-gmat Scholaranium which is included in both the courses is one of the best verbal practice tools in the market. You can easily track your progress in that you can identify your strengths and analyze and improve on your weak areas. Also I think if you maintain a current score of Q47 and improve your Verbal score to V38/V39 your score will be around 700-710. Hi, 650 itself a good score for a 2 week preparation. However, you are looking for 700+ score and has scope to improve score in both quant and Verbal. Try to follow these sources. So I agree that scoring a 650 after just weeks of studying is pretty impressive! Regarding resources, you should check out the reviews of verbal courses here on GMAT club to see what has worked well for other test takers. Also, since you plan to dive into your verbal prep, do you need some advice of how to improve your GMAT verbal skills? Lastly, you may find it helpful to read this article about How to Score a 700+ on the GMAT. If you truly studied for just 2 weeks, then this 640 is a really strong performance (the average Score on the Official GMAT hovers around 550 most years) - so you're clearly a strong critical thinker overall. That having been said, many Test Takers spend 3 months (or more) of consistent study time before they hit their 'peak' scores, so if you want to retest in 3-4 weeks, then you might not hit your potential peak in that time. Aside from this, there is the issue of strategy. When strategizing for the exam, more than basic skills are important for the Verbal section. It’s just as important to teach yourself the right way to approach each question. Many people, for example, make the mistake of reading all answer choices in all questions; with the clock running, you can’t afford to do this! Many Verbal questions are ones where all the relevant information is in the question itself, and you can use the PRECISE approach to answer the question directly, and avoid becoming confused by the answers. Other questions are those in which there is a general LOGICAL rule that can help answer the question quickly – reading all answers is a waste of time here as well. Only about a third of the questions are those in which it is necessary or preferable to go over all the answer choices (using the ALTERNATIVE approach). 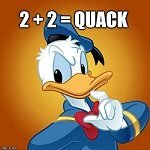 The trick is, of course, figuring out which question is which, and this requires concentrated study, checking not only whether you got the question right, but also whether you did so quickly and efficiently. 1. Have you maintained and used an error log? 2. Have you ordered an ESR? If so, please attach it here, I'll be happy to analyze it for you.